Harvard University Press, 9780674127913, 320pp. The complex status of Chopin in our culture--he was a native Pole and adopted Frenchman, and a male composer writing in "feminine" genres--is the subject of Jeffrey Kallberg's absorbing book. 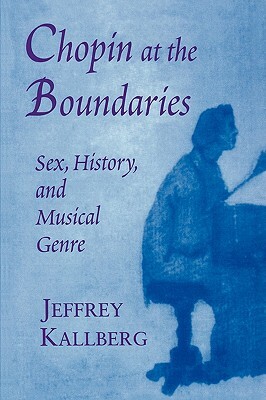 Combining social history, literary theory, musicology, and feminist thought, Chopin at the Boundaries is the first book to situate Chopin's music within the construct of his somewhat marginal sexual identity and to explore how this should figure in our understanding of his compositional methods. Through this novel approach, Kallberg reveals a new Chopin, one situated precisely where questions of gender open up into the very important question of genre.